Looking for a professional Spring Break Tutoring services in the Saugus, CA area? Call Santa Clarita In Home Tutoring!– your local Spring Break Tutoring experts. We strive to deliver the highest quality Spring Break Tutoring services in the Saugus area at unbeatable prices! 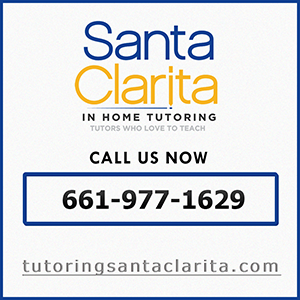 Find out why Santa Clarita In Home Tutoring! 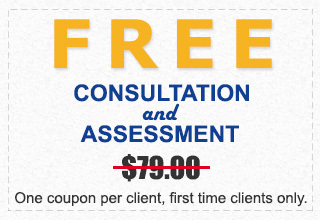 America’s fastest growing and most trusted in-home tutoring services. Give us the opportunity to earn your trust and business – you’ll be thrilled! Pick up the phone right now and call us, we’re ready to get you started and answer any and all of your questions. There’s good reason why Santa Clarita In Home Tutoring! has so many happy clients all around the Santa Clarita and Saugus area. Wouldn’t you like to be our next tutoring success story? Why Choose Santa Clarita In Home Tutoring? Unrivaled Results … Results, Results, Results! We’re proud to be one of Santa Clarita‘s and Saugus’ most respected and trusted in-home tutoring companies! Our tutors are highly educated and certified teachers who care deeply about your student’s success. Santa Clarita In Home Tutoring in Saugus understand exactly what it takes to reach your specific educational goals and make your tutoring successful. There’s no better choice than Santa Clarita In Home Tutoring in Saugus for high quality, highly effective in-home tutoring! Give us a call right now – let us show you what we can do – you’ll be glad you did! What types of tutors and tutoring services does Santa Clarita In Home Tutoring! offer? We provide professional tutoring services in every discipline including, but not limited to the following subjects: Math Tutors, Algebra, Calculus, Geometry, Statistics, Science Tutors, Chemistry Tutor, Physics Tutor, Biology Tutor, Psychology Tutor, Anatomy Tutor, English Tutors, Reading Tutor, Writing Tutor, Grammar Tutor, ESL Tutor, Vocabulary Tutor, Language Tutors, Spanish Tutor, Mandarin Tutor, Japanese Tutor, German Tutor, Latin Tutor, Test Prep Tutors, SAT Tutor, ACT Tutor, GRE Tutor, GED Tutor, ASVAB Skills Tutor, Learning Disabilities Tutors, ADHD Tutor, Dyslexia Tutor, Dyscalculia Tutor, Dysgraphia Tutor, Aspergers Tutor and Autism Tutor. The spring season is coming! For many, this is the best time to hang around with their loved ones and friends, enjoy outdoor, and try adventurous activities. However, many also consider the spring break as a great time to learn something new – and to bridge academic gaps – but in a new set up. Which one are you? Dedicated learning (customized) – As opposed to sending your student to a tutoring center, hiring an in-home spring break tutor, Santa Clarita, CA, provides a more dedicated or more customized learning process. It is more effective in addressing specific learning issues that your student might have been encountering at school. Learning at your student’s own pace – Another benefit of in-home tutoring is that your student is mentored at his/her own pace, which is pretty difficult to get at tutoring centers for the reason that your student will have to learn with other enrollees. In other words, the pacing of your student’s learning is dependent with other learners enrolled in the same subjects. More convenient – With private tutoring, your child does not need to go out and keep up with the schedules of a tutoring center. In-home tutoring is convenient not only for your student but for you as well as you do not need to drive your child to a tutoring center to attend a class. Can address specific learning hurdles – In-home tutoring provides an easy way for a tutor to evaluate your student’s academic aptitude as well as his/her weak points. And since your student’s spring break tutor, Santa Clarita, CA, is dedicated, prompt action that is tailored to what is needed is given accordingly.